Russell Marcullus Grun, 79, of the Moro Community, went home to be with his Lord on February 27, 2015 at Hendrick Medical Center. 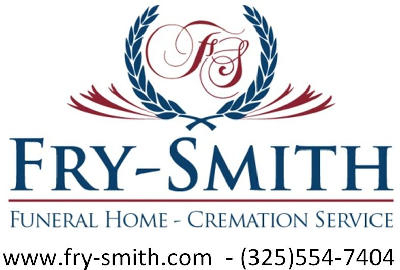 A funeral service is scheduled for 10:00am, Monday, March 2, 2015 at the Bluff Creek Cowboy Church, Russell's son, Marcy, officiating, directed by Fry~Smith Funeral Home and Cremation Service, Tuscola. A visitation will be held from 5 to 7pm on Sunday, March 1, at the funeral home. Russell was born on January 28, 1936 to Russell House and Edna Lolete (Baker) Grun in Fredericksburg, on a ranch where his family was living and working. The family and Russell then moved from Fredericksburg to Guion, Texas where his dad went to work for the Grahams. The beginning of Russell's schooling began at Bradshaw where he attended the 1st - 4th grades. He attended the 5th grade at Ovalo and then moved to Loop, Texas where he graduated in the class of 1955. In 1956, Russell moved to the Moro Community and lived with his sister's family while working in the oilfield. Russell met and married Ethel Raye Reid on August 9, 1957. Through their union, they had two sons and while raising the boys, Russell worked in the oilfield, butcher, truck driver for Gooch Packing Company. 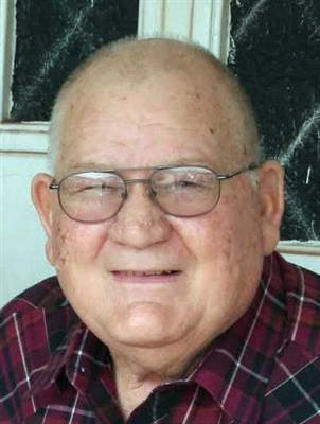 When Russell was finished with his work in town he came home to the job he loved, farming and raising cattle, which he continued until his passing. At the age of nine, Russell accepted Jesus as his Savior at a revival in Bradshaw at the Bradshaw Baptist Church. He was a member of Bluff Creek Cowboy Church where he served faithfully. Russell is survived by his wife Ethel of 57 years; sons, Marcullus (Marcy) Grun and wife Judy of Moro, Dwayne and wife Vonda of Lubbock; six grandchildren, Amy Landers (Jamie) of Ovalo, Angie Arledge (Travis) of Novice, Dusty Grun (Jodee) of Moro, Gena Wright (Nathan) of Lubbock, Alicia Sims (Travis) of Abilene, Kristen Grun of Strafford; six great-grandchildren with two on the way, as well as lots of family and friends. Russell was preceded in death by his parents, four sisters; Imogene, Elsie, Alameda, and Myrtle, and five brothers; Ralph, Lloyd, Edward, Freddie, and Richard. Pallbearers for Russell are Dusty Grun, Travis Arledge, Jamie Landers, Travis Sims, Josh Hudson, Otis Grun, Nathan Wright, and Dennis White. Honorary Pallbearers are Jim Baker, Ray Guevara, Vic Meyer, Darrell Cross, Jimmy Smith, DVM, Bryce Tharp, Kyle Casey, Matt Rutland, Brandon Walters, Matt Brewer, and Wayne Smith. In lieu of flowers, the family asks to please make memorials to Bluff Creek Cowboy Church, 3802 FM 2405 Winters TX 79567.